Wow, I'm very late with this one. Bloggers love this and they expressed that a while ago, I guess I'll have to accept that I'm a little late at jumping on the band wagon with this one. 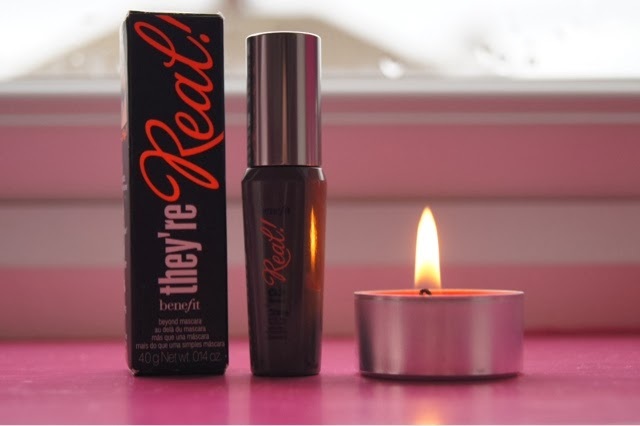 This is the good old Benefit They're Real mascara. I got it the same way as the majority of the people with this size bottle, it was a free gift in an issue of ELLE Magazine. It's only a 4.0g tester, but the size has nothing to moan about. So... 'Why am I so late at discovering this? ', I hear you ask. It's literally been sitting at the bottom of my make-up bag whilst I doubted it's splendidness. I was being a fool and not liking it before I'd even opened it. Sometimes, when there is a hype on a product you never know whether to believe it or not. This was one that I decided to not really think about. Until, once upon a time, I decided to just give it a go. And it uncovered the features if the mascara that I needed. At school, make-up is not allowed so the most soft make-up look is what I will choose, to avoid getting told to reduce it. With this, one coat of mascara doesn't clump the lashes and keeps my eyelashes thin and not clogged together as one giant eyelash (woah, imagine that). 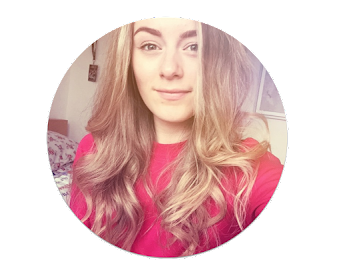 It elongates my eyelashes and keeps them feeling neutral enough. The only downside would be that it's not waterproof so I always fear it printing. Also, because of popular demand, the price of the full sized bottle is a whopping of £19.50 which is a lot for a drugstore brand's mascara. Overall, I'm really glad I decided to use this because it is a really great mascara. Yes, I agree! I have a high end mascara (Givenchy) and it as £27! !